Get your pool ready for the summer! Come into your local Sunny’s Pools and More and get your water tested! The first test is free and every test after you’ll receive $10 towards your pool supplies at Sunny’s Pools & More! As you heard on WYCD, the Quik Swim pool is available for $699.00 with ladder, sand filter, and skimmer! This is a pro-style pool that doesn’t need permits or installers. Do it yourself in less than a day. Click here for assembly instructions. $10 for a case of 10% Chlorine! Each case comes with 4, 1-gallon bottles of chlorine. Limit 2 cases per customer, visit the store for more details! At Sunny’s Pools and More we always have great specials going and by visiting us we can help you save on all your pool and hot tub needs. Have you ever had your pool or hot tub water tested? Our experts can help you test your water to let you know what products you need to maintain a beautiful swimming pool or hot tub for years to come. In addition, a water test will help you determine the water chemistry of the pool or hot tub. Also, this helps to avoid things such as algae, acidic water and much more. 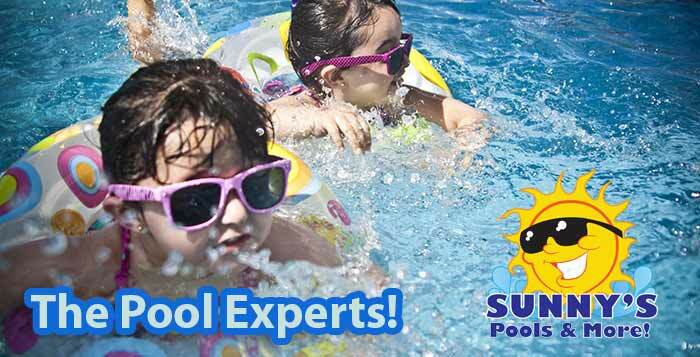 By visiting one of our locations, our experts will help you get everything you need to have a successful summer full of fun in your pool. Also, we carry everything you need to make your pool the best place to be this summer. Items such as new skimmers, floating toys, lights, covers and much more. Visit us this Memorial weekend for great deals on Poolife Pool Care products. 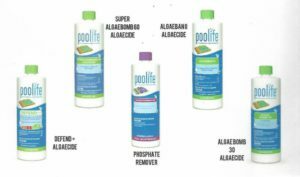 Poolife products are highly recommended from Sunny’s Pools and More and while supplies you can get a free float toy with your next purchase. No better way to start your summer than with some fun in the sun. Finally, visit one of our locations today and ask our experts what you need to enjoy swimming pool or hot tub!